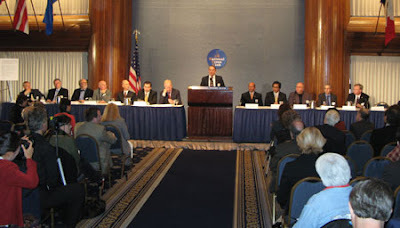 NEWSFLASH: THE COMPLETE VIDEO OF THE NATIONAL PRESS CLUB UFO DISCLOSURE CONFERENCE NOVEMBER 12 2007 AMAZING TESTIMONIALS !!! Here The Chief Base Security Officer James Penniston USAF With Top Secret Security Clearances reveals with his log book in hand the extraordinary sight that he and 80 Iother witnesses saw. 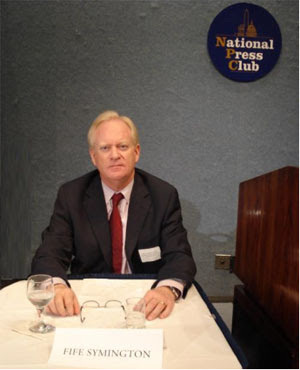 Nick Pope Former British Ministry Of Defence Officer on 12 Nov , 2007 spoke at The Washington D.C. Press Club revealing the truth about UFOs. Jean-Charles Duboc Captain, Air France ,Ret. Parviz Jafari General, Iranian Air Force, Ret. This UFO was moving upwards at a really slow rate. The whole thing lasted about 10 mins and I recorded about 6mins. It got so high in the end, you couldn't even see it through the cam. Literally turned in2 the tiniest dot. If you took your eye of it, you would have lost it. The best detail I got, is probably on this short clip, but it did change shape towards then end of the footage, like a shamrock or something.. cant really describe it. it happened at about 7pm July 2006. Oxfordshire UK." Merry Christmas guys! - Here's a collection of some of the best UFOs caught on film! Can our ancient past some how link us to a deeper understanding of the present day existence of UFOs, and give us clues to the origin of life and beyond? This outstanding documentary sheds light on this issue. Dr. Paul Czysz McDonnell Douglas Engineer describes the extent of the private industries UFO knowledge and back Engineering. The Hudson Valley; in New York State USA, was visited by UFO craft for seven years. 5000 witnesses can't be wrong. The US government came up with the idea of stunt pilot, yet as seen in the film no one bought that story! Interesting ufo doco - Hon. Paul Hellyer (Nobel Prize Laureate)Former Canadian Defence Secretary is the guest speaker. McPhearson UFO Tape is a fake right? I usually steer clear of such controversial videos to prevent the degradation of this blog - But this is still highly controversial to this day guys so i decided to post anyways, my opinion is it is most likely be fake but controversy still surrounds it, what do you think?. The U.S. Government claims its a hoax and some say apparently it has attempted to ban this footage. Bob White - physcial evidence of ufos? An object that was recovered by Bob White following a UFO encounter in Colorado in 1985. In 1996, White was flown to LANL, the classified Los Alamos National Labs for an analysis of his evidence and was told by Senior staff that the object he recovered was extraterrestrial. The lab denied this later. The Los Alamos official analysis was published for the first time in White's book UFO Hard Evidence (Galde Press 2005). He insists that the results reveal ‘inept or intentionally misleading scientific results’. In 2000, White claimed that a declassified U.S. Army document from the 1940's titled "UFOs in Denmark" has multiple images of an object nearly identical to the one he recovered some 40 years later. A US ARMY CIC Documents from the 1940's describes an object amazingly similar to Bob White's in File 202085 "Flying Saucers in Denmark". A Freedom of Information Act release of all US Army documents related to UFO's reveals startling information that may support Bob White's claims. Tests performed by MIT research associate Robert Golka and Larry Cekander, Lead Projects Coordinator at Museum of the Unexplained have created an intense interest with members of the scientific community to look at the Bob White Object with a more in depth study that wasn't forth coming before the Neutron Bubble Chamber tests done in November of 2006 in San Diego. Neutron Radiation should not be present in the object. The radiation exists. Many other things present in the metal shouldn’t be there either but the Thermal Neutron test is a definitive finding of off earth origins. "I believe Bob White has the real hard evidence of extraterrestrial visitation,"says Franklin Carter, president of the Institute for UFO Research. Scientist think some other academics who have examined the object might have deliberately tried to cover up the truth about it's alien origins. The Los Alamos report concluded the object was not a meteor but an unknown object of unknown origin. Although this is a bit off the topic about ufos but it is still interesting. Jamie Maussan reviews the alien footage in caught in mexico on a guys mobile phone. I remember watching the video ages ago and thought it was a fake and it was classed as prank by the mexican media - but now Jamie says this is untrue according to new scientific evidence including high radiation at the site. "The nations of the world will have to unite, for the next war will be an interplanetary war. The nations of the earth must someday make a common front against attack by people from other planets"
-spoken on October 8 1955. Five Star General Douglas MacArther, West Point Graduate. 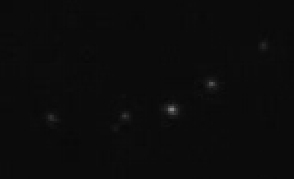 Here are two distinct Flying Saucers filmed separately, By separate individuals. The top filmed in Tallahassee Florida on Sept 5, 2005; the bottom in Deline N.W.T. on Nov 2, 2007. There is no doubt about the authenticity of these videos. northerly direction supports the spy-satellite scenario. debris as far west as Ontario with a photo of the thing." Interesting, ufo footage of UFO captured on a cell phone camera. Not sure how real it looks to you guys but i was a bit suspicious of this one. This is place where the word flying saucer was coined. One of the better UFO documentaries to be shown on TV. Originally recorded in 2000, but was rebroadcast later with new commentary and some interesting edits Topics covered include the Belgium UFO wave of 1989-1990, Soviet UFO's, Greifswald Lights, Chilean UFO study, astronaut and airline pilot sightings. There are numerous interviews with the principals involved, as well as scientists, military pilots, air traffic controllers, and a couple of SETI sceptics for balance. Alien Implants - surgeries to remove the implants. Whitley Strieber is on hand to shore things up in this investigation. For those who are interested the Full, uncut DVD of the National Press Club event is available now from the out of the blue website.The DVD includes a presentation from the 12 panelists plus Q & A with the media. Some people ask why this isn't just for free - the reason being that the out of the blue company has to pay big bucks to organise the event including flying witnesses from all over the world to the event, plus they are using the footage for their own movie. Without the producers earning their well deserved money, many videos and events like this wouldn't be avaialble for the the ufo community. Apparently UFO researcher Jeff Ritzman and a video effects technician are currently reviewing this footage to validate its authenticity. Already they noted that they could see a faint outline - possibly indicating they object is solid object and not a formation of jets! This is the full footage of the video posted previously. If anyone has any news on the outcome of the analysis of this video please advise in the comments section. 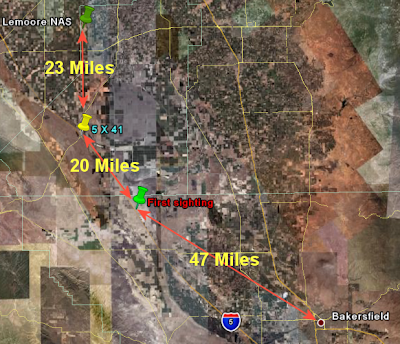 On the 13 November, this year, Diana Blackburn and her girlfriend witnessed a "huge" 'Flying Tirangle' near Bakersfield California while driving on the 5 North Interstate. They followed the object in their car for some time and managed to capture some 16 minutes of footage. Peter Davenport is a prominent scientist and Stanford graduate who claims UFOs do exist and the government is hiding information from the general public. 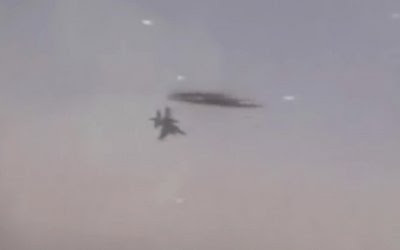 Mexican Soldiers Killed & UFO Taken By U.S.
Right-Patterson AFB has become very well-known among UFO researchers and theorists due to its connection with the Roswell incident of July 1947. This is one of the locations, alongside the Groom Lake/Area51 installation in Nevada, where wreckage of a crashed UFO as well as alien bodies were shipped. Wreckage of the craft was shipped directly to Ohio aboard a B-29 after the mysterious crash and placed in the infamous Hangar 18. Very interesting ufo documentary about a ufo over southern illinois - several police officers called in a report on it and one even snapped a photo! More Hidden ufo Architecture on the Moon? Two UFOs side by side. The Deline N.W.T. UFO on the left (filmed Nov 2 2007) and The Florida UFO on the right (filmed Sept 5 2005). Filmed from areas Thousands of miles apart, Yet we see the similarities. The glowing reddish like appendage from the bottom. IS Project Aurora The cause of the last 2 weeks of Flying Triangle UFOs? The last 2 months have been a big month for flying ufo triangles (see below posts). Some people say that these are caused by a new secret military plane called the Aurora. Although i highly doubt this as aurora is both highly controversial and many people doubt auroras existence. Triangular Ufo Over Japan In October, 26 2oo7 with good closeup of the craft. Very similar to the recent triangular ufo californian sighting in November which i posted a few days ago. On October 30th, In Romania, a MIG 21 Lancer was hit by an "Unidentified Flying Object". The Romanian Military went on national TV to report that at an altitude of 6300meters/ 3.91464 Miles and at a speed of 800 km/h - 500mph - their airplane was hit by an object which was later ruled out to be a bird due to the fact that at this altitude it is highly unlikely that a bird would cause such damage to a military plane. Please watch the video here to see the extensiveness of the damage and why it would not be a bird. The aircraft security and onboard instruments including a camera, captured 4 Unidentified Flying Objects which could not be made out on video due to the speed and due to the impact. The Pilot announced that he and 1 other airplane was doing a routine exercise 6km away from Gherla, Romania when this object along with 4 others, (only one hit the plane) came from under the clouds and hit his airplane. He then, due to the impact and from the video you will see, was forced to aboard mission and land immediately due to his wing and cabin damage. Click here for Youtube link if above not working - as this video is under high demand! "My girlfriend and I saw this UFO last night (11-13-07) while we were driving home from San Diego. We were driving up the 5 north. We saw it about 60 miles north of Bakersfield, CA and followed it for probably 30 miles. I shot about 3 or 4 minutes of pretty clear footage. I have a total of 16 minutes of footage as we chased it. I have lightened it so you can see it better in the black night sky. With our own eyes we could see the outline of the craft at times. It had red lights most of the time, but sometimes they would all shut off. The second time that it flew directly at us and over us the lights turned to a white-light blue color. This is definitely not an airplane. It flew right over us twice, about 1,000 feet above our heads and made absolutely NO sound. It just glided through the air. It shape-shifted and even expanded to the size of 4 football fields at one point. It flew side ways. At one point what looked like a comet flew out of it sideways. I didn't get that on video. I've seen lots of shooting stars and they ALWAYS come from the sky. This one flew sideways slowly. Very strange. Pretty amazing. Near the end of the footage it looked like a triangle flying sideways. We are still in shock that we got to see this thing, watch it for so long, and get it on video! I think it is extraordinary." For years, its remote location and iron-clad security measures kept it a secret. But the existence of Area 51 is now well known, even though it still does no show up on any government documents or maps. And while the government still does not officially acknowledge its presence, the mysterious base is a lightning rod for controversy and speculation. Clifford Stone E.T. Interpreter For U.S. Govt. This is a highly contraversial but again very interesting video about Sgt. Clifford Stone a government employee who says he interfaced between the E.T. 's and the U.S. government, he seems to be very genuine and offers some quite startling facts. This video exposes the fiction behind the swamp gas theory which was dreampt up over night by Washingtons science adviser J. Allen Hyneck. All caught on tape by a statement given by Michigan Sheriff Douglas Harvey. To this day most ufos are dismissed as swamp gas by the U.S. government. Here are additional Statements made by individuals all with top secret security clearances that The U.S is covering up the real truth on the UFO phenomena. This is just a recap guys from the recent Larry King ufo show with words of John Callahan; former Division Cheif In The FAA exposing the U.S. government ufo coverup. This statement was given on CNN to a World Wide Televised audience - I mean how long is it going to take before people take these witnesses seriously! I have tried real hard to find the complete footage of the whole National Press Club Conference November 2007 on UFOs but yet still no avail!! If anyone find the whole video please post the link in the comments section. Disclosure Project Director Dr. Steven M. Greer reports that government insiders have revealed the existence of a shadowy, highly classified program related to UFOs. Dr. Greer states: "As early as 1993, when I personally briefed CIA Director James Woolsey on the UFO matter, we knew of on-going, secret projects to which President Clinton and Mr. Woolsey were denied access. The senior counsel for the Senate Appropriations Committee, then headed by Senator Byrd (D-WV) told me directly that upwards of $100 billion per year was going into so-called ‘black’ projects, including UFO programs, but that with a top-secret clearance and a subpoena power, he could not penetrate the veil of secrecy." Subsequently, working with philanthropist Laurence Rockefeller, Dr. Greer provided in-depth briefing materials for President Clinton and Hillary Clinton, who reviewed the matter while staying at the Rockefeller’s JY Ranch. Dr. Greer reports that "The Clintons refused further disclosure of the matter. CIA Director Woolsey frankly stated that they could not disclose programs over which they had no control or access. Mr. Woolsey and the Clintons were shaken by the secrecy, and the power behind it." This is not a news report this is actual filming of the conference from November the 12th. Will post a longer version when i find it. As mentioned and discussed at the 2007 disclosure conference, Shag Harbour ufo event is Canada's most facinating and well known UFO incident. Huge press coverage is coming out from the ufo disclosure event at the national press club. I was listening to news here at home in sydney when it came on so i know the coverage is now global. An international panel of two dozen former pilots and government officials called on the U.S. government on Monday to reopen its generation-old UFO investigation as a matter of safety and security given continuing reports about flying discs, glowing spheres and other strange sightings. The panellists from seven countries, including former senior military officers, said they had each seen a UFO or conducted an official investigation into UFO phenomena. The video looks a bit fake to start with but wait till the end of the video where he zooms out with the street lights and houses around it. Narrated by MUFON 2007 conference presenter Sam Maranto who speaks about this video shot in Arizona. Larry King show on UFOs 9 Nov 2007. In preparation for the big ufo event at the national press club on the 12th of November numerous witnesses speak out on Larry king live. 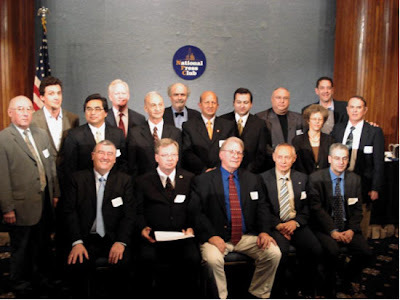 15 military and government officials from 7 countries will present evidence of close encounters with UFO's and the results of government investigations November 12 2007. The director of The Disclosure Project reports that a new Army Intelligence witness has come forward with knowledge of an extraterrestrial biological life form who survived the UFO crash at Roswell, NM. This witness saw a living ET three years after the famous crash in New Mexico in 1947. In 1950, this witness, who was at a military facility on the east coast, saw a four to five foot tall ET being who was being held in a cage in a guarded bunker. Apparently the ET was being transported to a facility for study. This witness, who is highly credible, states that he learned that this ET was the sole remaining living being from the Roswell crash in July of 1947. The ET had a larger than human head, and was yellow-gray in color. The ET was in a small cage and under armed guard. This witness states that another ET survived the crash but had since died in captivity. A separate military witness, whose father was a senior official in the US Government, has told The Disclosure Project, that his father made a death-bed confession of seeing an ET being at a facility near where this new Army Intelligence witness had seen the ET. This is one sure reason why the US government is worried about disclosing ufos - they post a security threat because they can render nuclear weapons usesless. This is not an uncommon event and one would have to wonder why ufos are so interested in deactivating nukes all over the world? In this video Capt. Robert Salas the Launch Commander at the site of the largest Nuclear Missile field in the world in Malstrom A.F.B., Montana, USA. He could not lack credibility as he is the man at the missile launch hot button. Rep. Dennis Kucinch of Ohio was asked this during a debate of the Democratic candidates for president tonight: Has he ever seen a UFO? "The godmother of your daughter, Shirley MacLaine, writes in her new book that you've sighted a UFO over her home in Washington state,'' the questioner asked, "that you found the encounter extremely moving, that it was a triangular craft silent and hovering, that you felt a connection to your heart and heard direction in your mind. "And the rest of the account -- I didn't -- I -- it was unidentified flying object, okay. It's like -- it's unidentified. I saw something. In the post-debate interviews, Gov. Bill Richardson of New Mexico said he is happy to promote tourism in Roswell, but he has never seen a UFO. NASA has agreed to search its archives once again for documents on a 1965 UFO incident in Pennsylvania, a step the space agency fought in federal court. The government has refused to open its files about what, if anything, moved across the sky and crashed in the woods near Kecksburg, Pa., 40 miles southeast of Pittsburgh. Eyewitnesses said a flatbed truck drove away a large object shaped like an acorn and about the size of a Volksawagon bus. A mock-up based on the descriptions of local residents sits behind the Kecksburg Volunteer Fire Department. In 1990 mid-summer I was repairing damaged fence line on my North forty in Broken Arrow OK. I usually camp at the site when I have large repairs to do. At about 2:00am my horses started running back and forth and the cattle began caterwauling. I thought coyotes had came for a calf. Then the animals became dead silent; they didn't even move. It became completely silent, I couldn't hear anything. Then all of a sudden it became almost completely lit up like it was 9:00am, to the north. It looked like the sun was coming up. I ran back to the camp and grabbed my camcorder and started filming. Please keep in mind that it was around 2:00am and the sun was many hours from rising. I panned the camera around and the look on my animals was strange. They look as if in a trance-- no reaction at all, almost as if they were in a state of shock. The fireball went higher and higher until out of sight. After it was gone, the animals went on as if nothing happened. I could not even guess how far away it was, it looked as if the sun decided to rise at 2:00am. From the time I first saw the light till it vanished was about 5 to 8 minutes. A British computer expert, accused by Washington of "the biggest military hack of all time", was given permission on Monday to take his fight against extradition to the US to Britain's highest court. Gary McKinnon was arrested in 2002 after US prosecutors charged him with illegally accessing government computers – including Pentagon, US army, navy and NASA systems – causing $700,000 worth of damage. A district court ruled in May 2006 that he should be extradited, a decision upheld at London's High Court in April this year. But on Monday, three of Britain's top judges gave McKinnon permission to take his case to the House of Lords. McKinnon's lawyers argue that sending him to the US would breach his human rights, be an abuse of the English court process and should be barred as his extradition was sought "for the purpose of prosecuting him on account of his nationality or political opinions". 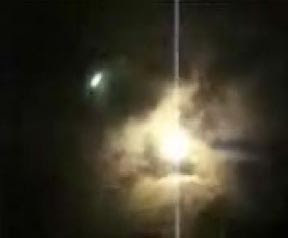 Originally shown on a NOVA special, a tall cylindrical object releasing a "jet-like cloud," can be observed coming from the surface of the moon, Warren said, which he believes is not an illusion caused by debris. Initially reported by the scientific journal Electric Space Craft, this object could be "thousands of feet tall" and indicate a secret technology, Warren surmised. BBC News website shows video of ufo in israel ? I hesitated on posting this one guys, After watching the version fom youtube a few days ago i thought it was another fake - However today i checked from the BBC website here and the objects do actually show in the original footage so not really sure what this object is. At the 30 second mark you'll see a fighter jet fly over the other and you'll see what appears to be a shinny metallic object in between the two jets, there's also another object just before the bigger one, the BBC seem to have made nothing of it,. Could be something reflecting from within the plane but really not sure ??? Its also interesting to note that the reporters comments "they may have been on a secret mission to bomb the nuclear weapons (of Syria)" - may be a coincidence but this follows with my previous post about the common occurrence of ufo involemnet with anything to do with nuclear weapons.